IPL is the preferred option for our permanent hair reduction and light technology skin treatments at The Face And Body Lounge. Although IPL and laser both work on similar principles one of the main differences is that IPL emits a scattered light fired directly through a smooth, wide lens to reach its target, whereas lasers use a single beam of light with a smaller head. 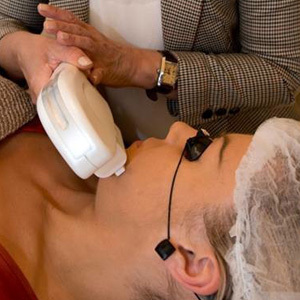 Therefore IPL can treat a larger area due to its wider head, which means a quicker process. IPL targets the lower layers of skin without causing damage to the top layers, resulting in less trauma and injury, and minimal downtime. With skin rejuvenation treatments, as the light is absorbed it kick-starts the development of collagen in order to restore your skin’s youthful look, removing blemishes, discolouration and fine lines within the treated area. After a series of treatments you can see smoother looking skin with a significant reduction of unwanted pigmentation, broken veins and capillaries. Our customers have reported less pain and discomfort with our Diamond IPL system, and we have seen wonderful results. IPL/laser technician, Ann, is trained by the Australasian Academy of Cosmetics and Dermal Sciences, WA. An initial consultation and test patch are required prior to treatment.